One of the dream vacations of a lot of people is traveling by car along Ring Road, all over Iceland. It was also for us and if we had the idea that we would like it after we go we can guarantee that it was well above our best expectations and is certainly among the best trips we have made in our lives. When we felt it was time to make this our dream trip, we made the appointment well in advance and we had about 10 months to prepare it. This was very positive, as we did not want to just go to the capital and explore the main sights around, we had the desire to make the Ring Road, one of the best road trips you can do throughout your life, we can guarantee. Since we were only going to have 8 days to do it, and as we traveled with our 4-year-old son at the time, this trip led us to do a lot of research and preparation in order to make the most of each day of our adventure, also, to make this trip the least expensive possible, something always important to take into account when traveling to Iceland. 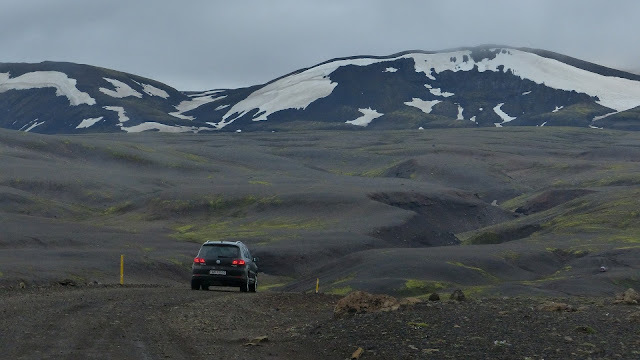 Click here to see our 8 days Iceland Ring Road itinerary. After much thought of what to see, we chose to make the Ring Road, or Route 1, which is nothing less than the main road to Iceland, which runs through the entire coastal area of Iceland, with approximately 1332 kms 828 miles (find out more here on wikipedia), and is the main link between the main towns of the country. It still has the characteristic that, most of Iceland's most famous tourist attractions are next to it or easily accessible from it. Having made our decision, we came up with a set of questions, which led to a whole planning and a great research, as well as the exchange of information with those who had already taken this route. 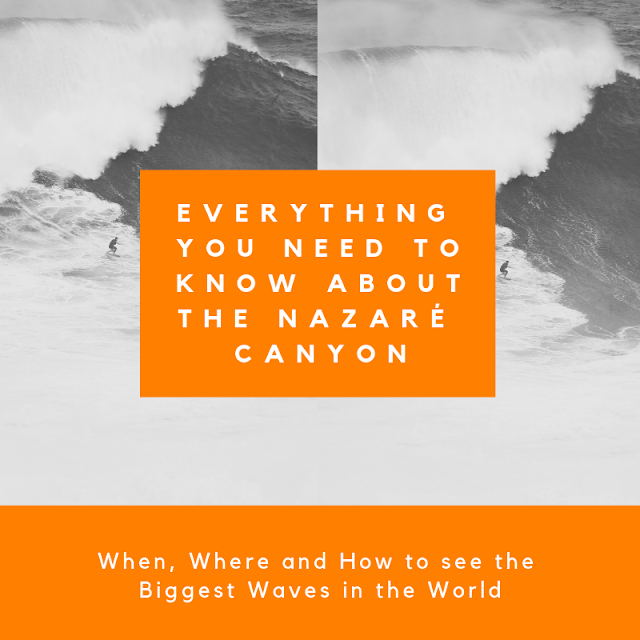 In this blog article, what we intend to do is share with you the questions we put ourselves, the information we collect and, together with our experience after this experience, give our opinion and information to help you carry out your own adventure. 1- HOW MANY DAYS DO I NEED TO MAKE THE RING ROAD? There will always be several opinions. The truth is that if you want, you can even make the Ring Road in one day. With good weather, it is possible and we even recommend seeing on youtube a musical and visual experience that the Sigur Rós did, which consists of precisely 24 hours of travel along the Ring Road to the sound of music made by them. We would say that the advisable minimum would always be between 8 days and maybe the ideal 10-12 days, although if you have the time and money, you can do even more. As we only had the possibility of 8 days (you can see here our itinerary), we ended up having to cut down a bit on what we wanted to see, taking the Snæfellsnes peninsula and exploring a little more the East Fjords lagged behind, and it was not in our plans to meet the Westfjords, we will have to stay for another trip to Iceland. However, with a lot of organization and planning, we managed to enjoy these 8 days very well and were phenomenal, also thanks to the countless hours of sunshine that Iceland offers us in June, and we were also fortunate to always have great weather, which delayed the level of driving. However, we would say that 10 days is a great time to do this lap, but everything depends on the activities you want to do. 2 - WHAT'S THE BEST TIME OF THE YEAR TO MAKE THE RING ROAD? One of the main issues you are likely to encounter is the best time to make the Ring Road. Previously we wrote an article about our opinion on the best time to visit Iceland (you can access it by clicking here). 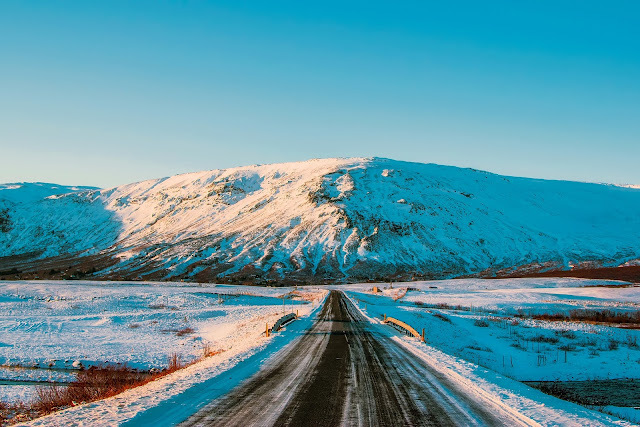 Although Iceland has attractions that can captivate a visitor throughout the year, for those who want to make the Ring Road the coldest period can present great difficulties or even make it impossible to visit, for running the real risk of some roads being closed during that time. period, which will make it impossible to carry out the entire journey. On the contrary, in spring time and driving conditions tend to improve as well as increase the hours of sunshine, which makes driving ever safer. 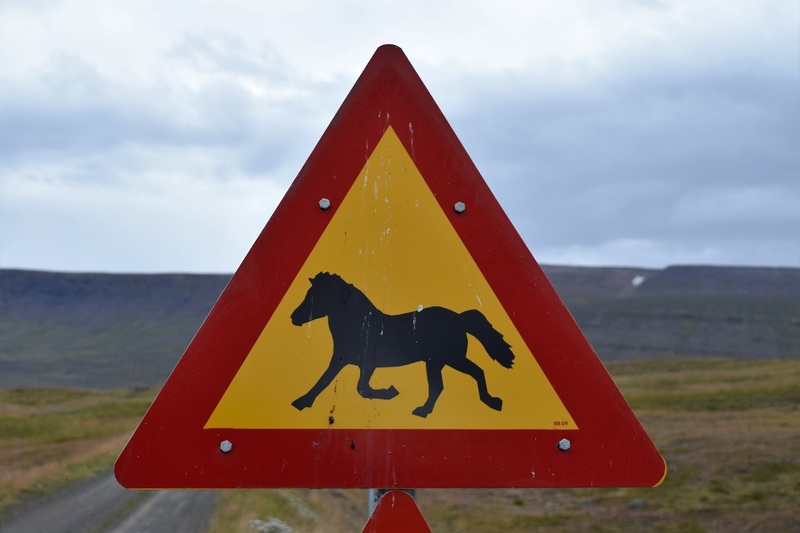 Although there is always an unpredictability with regard to the weather conditions in Iceland, in our opinion it is safer and more pleasant to carry out the Ring Road between the second fortnight of May and September. The northern lights are one of the reasons why more people travel to Iceland, especially during the autumn and winter, when nights are longer and increase chances of success. However, various circumstances are always necessary for you to succeed in your quest, especially that the sky is not overcast and, of course, the sun does its work. There is a very good app, called "My Aurora Forecast", which gives you a preview of the possibilities of seeing the northern lights according to their location in the world. You can download for free on IOS and Android. But what we wanted to mention is that as the possibilities of seeing northern lights increase in the winter and, of course, in the darkest time, you are more likely to see it farther away from the places where there is light, which causes an increased risk, since driving in Iceland in the winter is always a risk, in addition to having to go to more isolated and poorly lit places, can indeed be dangerous, so in these situations, you should seriously consider the possibility of paying for a private tour, where you are led by specialists who can take you to the best places to watch and do so in conditions of safety difficult to reach by us. Don't forget too that to be able to watch the northern lights you will probably have to spend hours waiting, so appropriate clothing is essential. 4- WHICH TYPE OF CAR SHOULD I RENT? This is also an issue that will be directly linked to what you want to see and when you will make your trip. 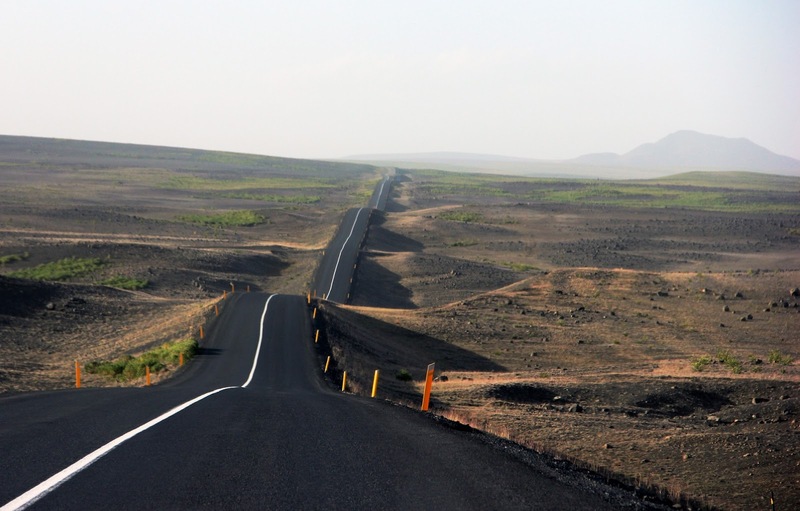 Ring Road is a road almost all tarred and even when we found parts with gravel, we always felt a great safety in carrying out this route in a car with 2 wheel drive, which in our case was a Citroen C4 Cactus. However, in our case, we went in June, with great weather conditions, and we didn't venture on any F Road, which are only available for 4WD cars, and even those not at all times of the year, so we recommend that always respect the signs. We remind you that if you do not respect it and, if there is a problem, the insurance will not accept any responsibility, and we strongly advise against doing so. In short, if you prepare to make the Ring Road during the summer, and just restrict yourself to the main road and do not venture into the F Roads, a normal 2-wheel drive car will be great and safe. If you go in a time of the year when the weather is less favorable, or if you intend to venture on roads other than the main roads, we advise you to rent a 4x4 vehicle. 5. SHOULD I PAY THE EXTRA FOR THE CAR INSURANCE? This is a difficult question, for which we have no clear answer. Concerning insurance, first of all let's say that when you rent a car, not only in Iceland but in a vast majority of countries, when you pay your reservation, you also pay for compulsory insurance, which covers a large part of the costs if you some problem. What insurers generally propose is that you buy insurance that protects you 100%, that is, if there is a problem, cover the amount of the deductible that, in some situations, may still be high. In this way, when paying the insurance in full, on departure you will be 100% sure that you will not have to pay any cost, although you must be very careful and always read the conditions of any insurance well, as we have heard reports that have had even with the extra contract insurance, because the cost of repairing a risk in the car was less than € 200 and the extra insurance was only for repairs above that value. As for the question of whether or not to pay the extra insurance when you rent your car, this is an issue that is always at the discretion of each one. In our case, we love to rent a car in different parts of the world, we love the freedom to explore a destination following our schedules and interests and, to date we have only used the mandatory insurance that comes with car rental. The truth is we have always been lucky but in Iceland there is always an added risk of even going through Ring Road having to pass can roads with gravel. However, as we are careful drivers, we went to Iceland in June, at a safe driving time, we took that risk and were successful. 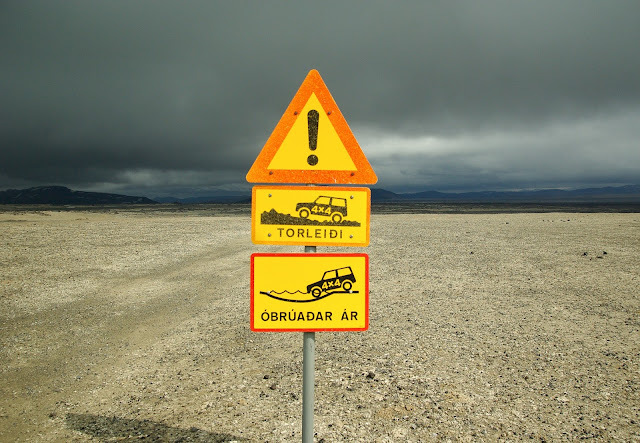 However, gravel is indeed a risk in Iceland and, even being very careful, it may have some problem, so you have the option to pay only for that particular insurance. If you wish to make Ring Road in the winter, we even suggest you pay for the extra insurance. That being the case, this is an option that depends on each one, and each one should weigh the strengths and weaknesses and of course, see your budget. In relation to the health care you need, Iceland is a very safe country, not needing any vaccine or care different from any western country. Perhaps the biggest risk is hypothermia, so self-care is really very important to take. The health system in Iceland is very good, almost all public and, despite having only two hospitals, in many of the villages, there are health services that will help you on most of the issues you may need, with English being widely spoken in them . You can consult here the list of services or, for any question, just go to the tourist services, which will tell you the nearest place to go. Also, great help for minor issues are the pharmacies, indicated with the symbol "Apótek", where you can get help on most issues. With regard to costs, as in everything else in Iceland, they may be expensive, so it might be a good idea to consider having health insurance that charges your expenses. 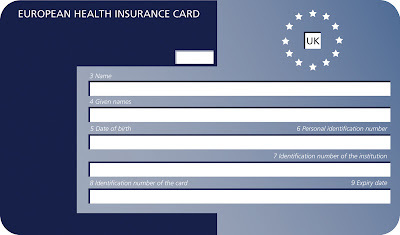 However, if you are a citizen of the Nordic countries, you will only have to present your passport or, if you are a member of the European Economic Area, you will be covered for emergency medical treatment by presenting your European Health Insurance Card (EHIC), which you can (and should) pre-order online by clicking here. Here there is no cheating, Iceland is an expensive, even expensive destination. The local currency is Icelandic Krona (you can see here the currency). 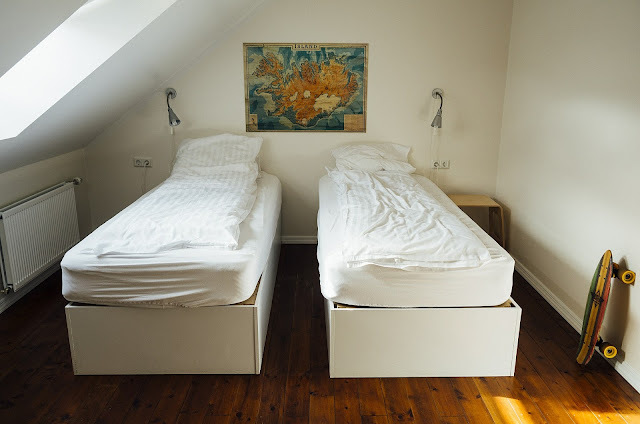 Of course, there are always ways to save some money (see here our post on ideas that can help you save money on your trip to Iceland) but even if you explore and be creative, get ready, this will be an expensive experience . So when you are planning your Ring Road, don't forget that you will need to have a good budget for accommodation, fuel and food, something that in Iceland is always very expensive. But we can also guarantee you that you will make up for every cent you spend, you will not regret the money you spend, and you always have the good news that, as Iceland's main attractions are natural, they are almost all free, at least are, we will see in the future. This is an issue that may be very important. Iceland is a country with a very low population density and also with a reduced hotel offer. If in your capital this offer can still be considerable, for those who are going to make the Ring Road will verify that along their route you will not find as many options as you wanted. And, as the number of tourists has increased a lot in recent years, and the hotel offer has not (nor does it) meet this demand, it turns out that, especially in summer, those who make Ring Road and do not reserve in time to stay without a place to sleep or, then, to pay exorbitant amounts per night. And believe that hosting in Iceland is not cheap at all and the lower the offer, the higher the price, and may even reach values that will scare you. So when preparing your trip on Ring Road, we propose that you plan in advance what you want to do each day, how many kms you want to go and where you will most conveniently spend the night. So, try to make the reservation of the place where to sleep as soon as possible and, with the possible early we referred to something like 5 or more months in advance, we had cases of 8 months. Fortunately, on sites like booking , for example, many of the rooms come with the possibility of free cancellation up close to the travel date, which is a wonderful possibility. 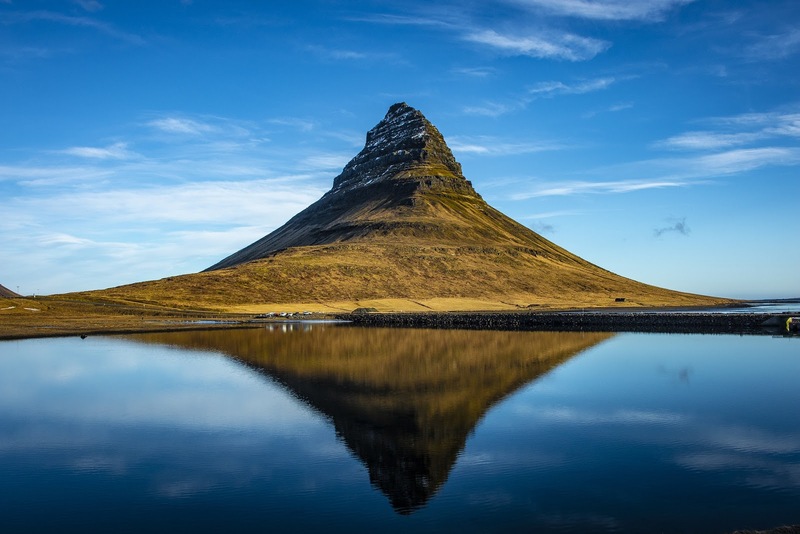 Not only in Iceland but in many of the trips we do, we try to make a reservation with this possibility at the earliest and at the best price, and then we are always on the lookout for cheaper offers. We already had a reservation in a hotel and, we checked months later that the same hotel had the same room for lower values. What we did was cancel our reservation and make a new booking equal but for a smaller amount. But even without being in the same hotel, it is frequent throughout the time before the trip to find better prices and change. 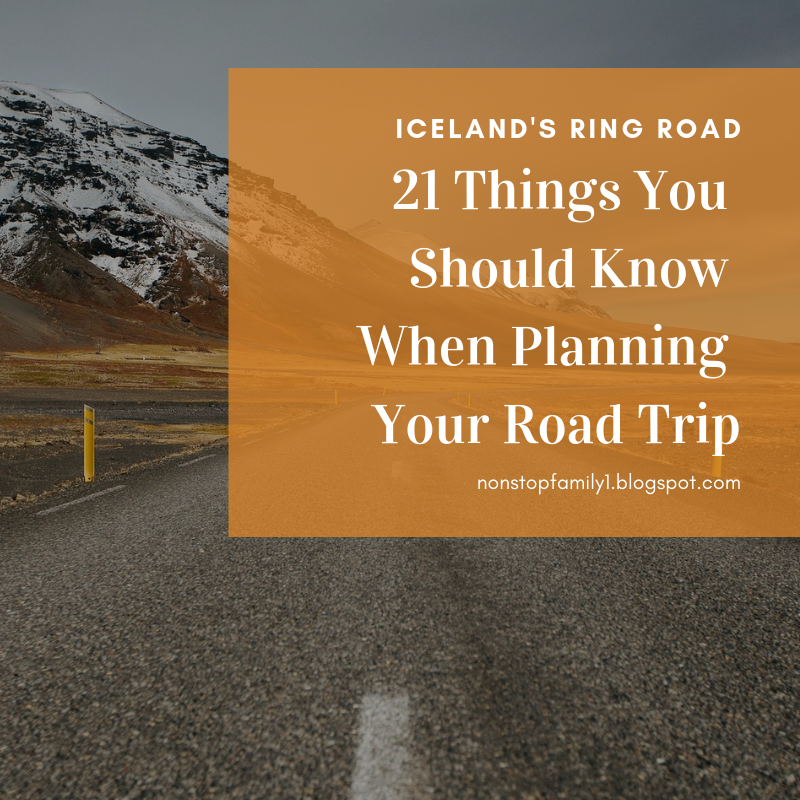 However, you know, the golden rule is to plan your trip very well and to book as early as possible, this is crucial for anyone planning their trip around Ring Road, especially in summer. 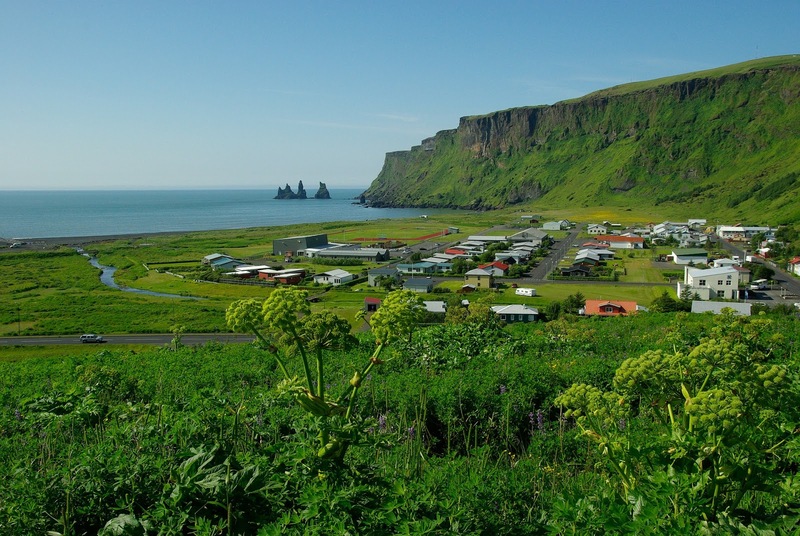 The same is true of hire a Campervan, make your reservation in advance as you may see the prices increasing dramatically and as this is a delightful way to get to know Iceland, the demand has been increasing as well as the prices. Running out of fuel in the car is something you never want, especially when you're on vacation. In Iceland, most of the small homes have gasoline pumps, many of them fully self serve, where you need credit card with pin to pay. The point is that, although there are bombs among most villages, there are not as many settlements as you can imagine, and the distance between them may be large, so you should always have fuel available for many kilometers. The rule is, whenever possible, to attest. We have never left our deposit staying for less than half, for safety but, maybe we were exaggerated, it is not necessary so much. Something that we can also warn you is that the price of fuel is not cheap (you can see here), so consider this value when you make your budget. We did not consider Iceland as one of the best places to eat, it has great attractions but the food we can not say was the one that most captivated us, as well as being extremely expensive. 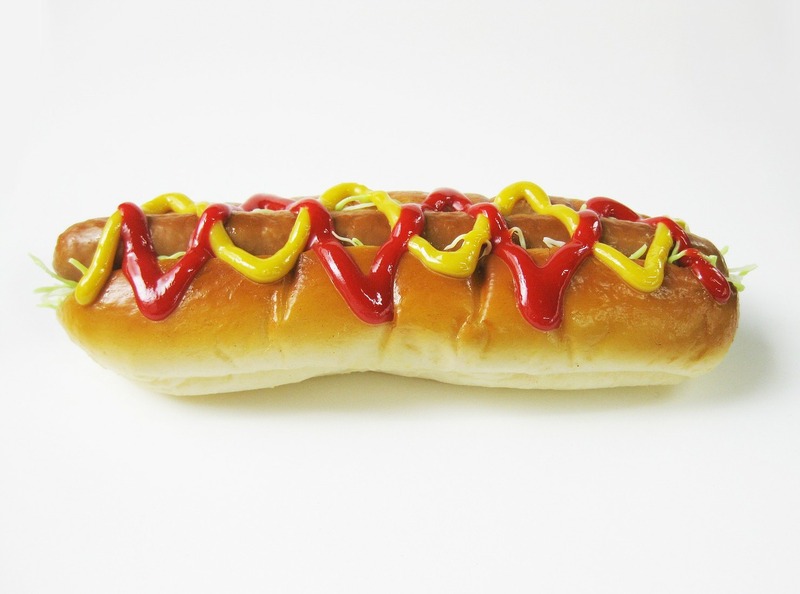 However, there is a lifeguard, which can save people and wallets along their journey, which are the hot dogs and also often the hamburgers that are sold at the service stations. And believe me they are really very good, at extremely affordable prices when we are talking about Iceland. So, you know, when you see a service station, in addition to fueling your car, fuel yourself with one of the best and most economical Icelandic dishes. Remember that besides being accessible, after leaving them, you can spend a lot of time until you find another place to eat, so you have to take advantage. Even with the hot dogs at the gas pumps, be prepared to spend a lot of time without finding a place to eat, so anyone who does Ring Road has to prepare to always have snacks available to kill hunger in the car. especially when traveling with children, because we already know that their patience when they are hungry decreases and, nobody wants to do 100 kms with hungry children in the back seat. 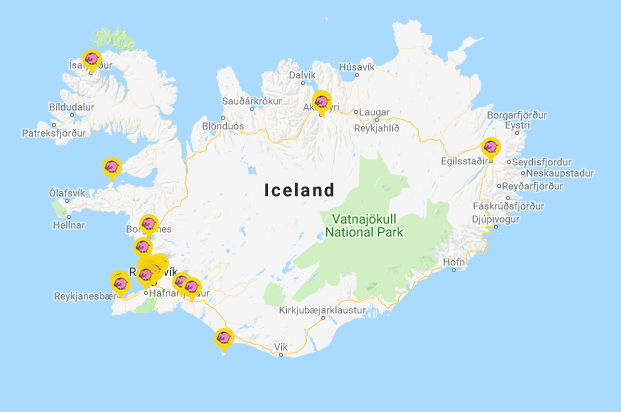 As you will probably pick up your car just outside the airport, the option that is cheaper is in our opinion because it allows you to save money on the transfers to Reykjavik (see here where you can park for free in the city of Reykjavík) shopping on the way to the city. We really liked the supermarkets Bónus, that you can find on the way from the airport to Reykjavik but, it's possible to find it a little all over Iceland, as you can see on this map. 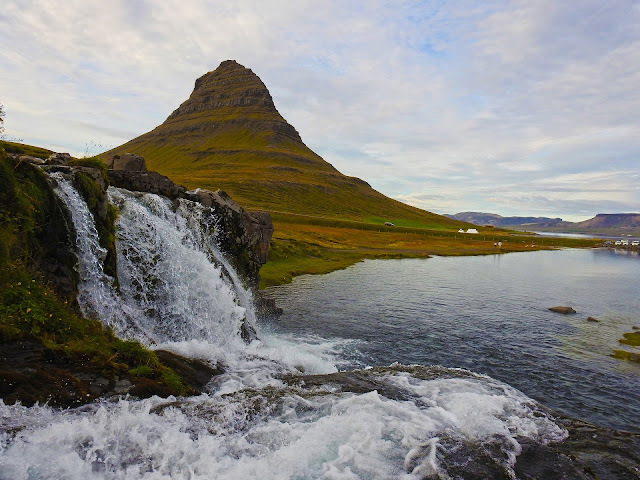 If snaks are very important to purchase, the same is not true of water, as Iceland has the privilege of owning perhaps the purest drinking water in the world, and we advise you to bring reusable bottles, which you can fill with each faucet you want. Besides being more economical, the planet is also grateful. Something that can sometimes frighten someone who opens a faucet is the smell of sulfur that can come with hot water, in some places in the country stronger than in others, However, this only occurs with hot water but with the cold water , you may believe that it has equal or better quality than the one you buy bottled, and it's free. Although you do not need money to buy water, you will undoubtedly need money. However, Iceland is perhaps the country in the world where we have been better off without physical money, since we have not found any place that does not accept a credit card, even in the most isolated village we have found, it is possible to purchases with credit card, so you can make your entire trip without the need to exchange or raise any money. Incidentally, we consider the credit card as a key companion to Ring Road because, you will find yourself along with your route with self-service fuel pumps, where you will have to make the payment by credit card and carry out only the without any person to assist you in that process. Visa and Martercard are generally accepted throughout the island, but to pay for the fuel in the pumps without assistance, make sure you have the ability to use the pin. 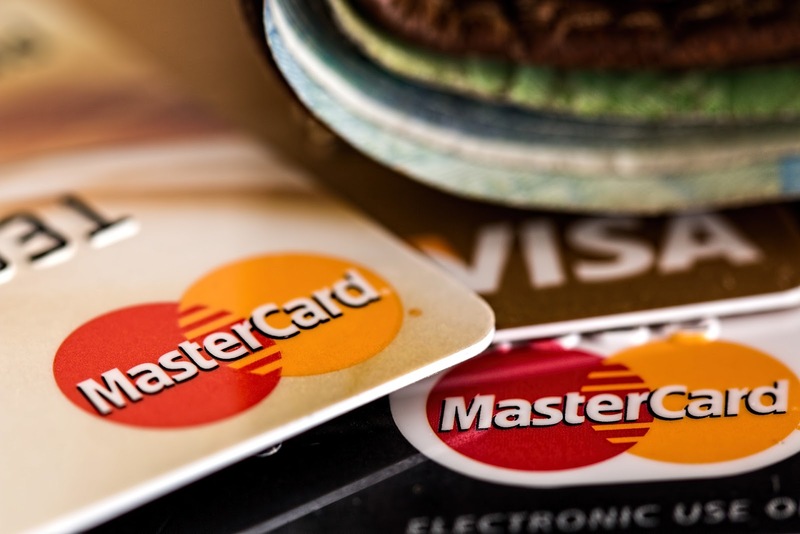 Don't forget that you will, of course, have to pay the international usage fees inherent in the use of your card, but this does not only happen in your country. So, check with your supplier for exchange rates and costs so that you have no unpleasant surprises upon returning home. Driving rules in Iceland don't have anything extraordinarily difficult. The driving is done on the right side of the road, as in most countries in Europe and America. Regarding the speed limits, they are fast learning. When driving within villages, the limit is 50 kms (30 mph), outside the villages is 90 kms (about 55 mph) when driving on paved roads or, when unpaved or in tunnels, the limit passes to 80 kms (about 50 mph). The use of seat belts is mandatory as well as circular with the car's average lights on. When using your phone, you can only use a hands-free system. In case of traveling with children, do not forget to use the cederira or seat elevation appropriate to the age / size of your child, as well as dangerous in case of non use, the fines are very high. Although these rules are the most common, you should always be aware of signs and we recommend that you follow the limits imposed by law, as it is never a pleasant surprise to receive a fine at home after the trip is over. Don't forget to always adapt your driving style to the weather conditions as well as the condition of the pavement. Although much of the Ring Road is in good condition, there are still unpaved areas, particularly in the eastern part of the country which, with rain and snow, can be more treacherous, so be careful. You will also find along your journey sections of only one route, usually, bridges, where the general rule is, the first one that arrives, the one that passes, the one who arrives after the other will finish the course. When they are bigger bridges, you will find specific locations that allow the two cars to cross paths easily. Just always take care of these routes to slow down your speed and always use a lot of attention. We also leave the warning that it is illegal to drive off the roads in Iceland, being such a target of heavy fines and in the case of an accident, the insurance that has contracted is not responsible for the damage, nor for the trailer. Iceland is a paradise that needs to be protected, so visitors are asked to try to leave everything as they have found, and the trail of a car tire can mark the landscape for years, and spoil what nature has taken centuries to protect. Even on your sightseeing tours, you are always asked to respect the marked footpaths. 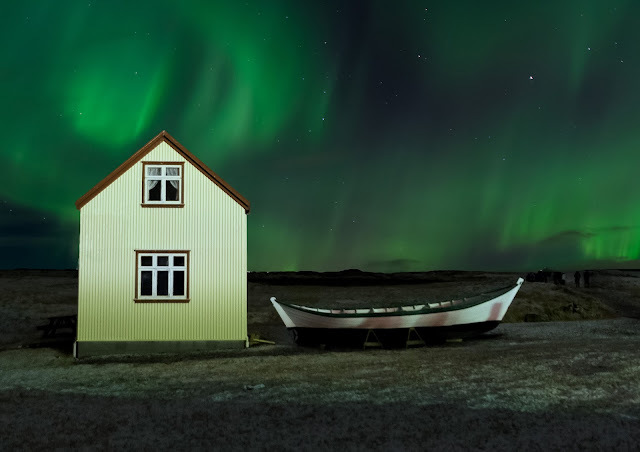 If you are reading this article, it is because you already know some of the main tourist attractions of Iceland and, already feel passionate about this extraordinary country. However, although these most famous sites are wonderful, we can assure you that by making the Ring Road you will constantly be in awe of stunning scenery, which will marvel you and will constantly want to stop the car to take the perfect photograph, or just stand still to look at the perfection of what surrounds you. This is a temptation that will certainly feel dozens of times, we can guarantee. However, this is so often the case that it has been a major cause of accidents since, on the vast majority of roads, the roads are narrow and there are no loopholes to park the car on the curb, which causes many people to stop the car middle of the road, which ends up being the cause of many accidents in the country. In this way, one piece of advice we have left is to never stop your car in the middle of the road. In most cases, if you walk a little more, you will see that there are always stop offs, designed to touch the places you want to shoot, stop offs that, in addition to being safe, are often in great positions to take the perfect picture. When you make the Ring Road get ready to stay many kms without seeing any car but, we guarantee, you will find animals where you least expect, especially sheep. We saw sheep within tens of miles of any settlement or farm, we can not imagine how they would stop there. We were also fortunate to see reindeer, something that may be difficult at this time of year and, the lovely Icelandic horses, impossible to resist. The problem is that, during your trip, you may encounter some of these animals, especially the sheep, in your route, so always pay close attention to the road. 18- CAN I USE MY DRIVING LICENSE IN ICELAND? The answer is simple, if your letter is written in Latin characters and you have a picture of the driver, you do not need anything else, you are free to drive. When this does not occur, you will need an International Driver's Permit (IDP). 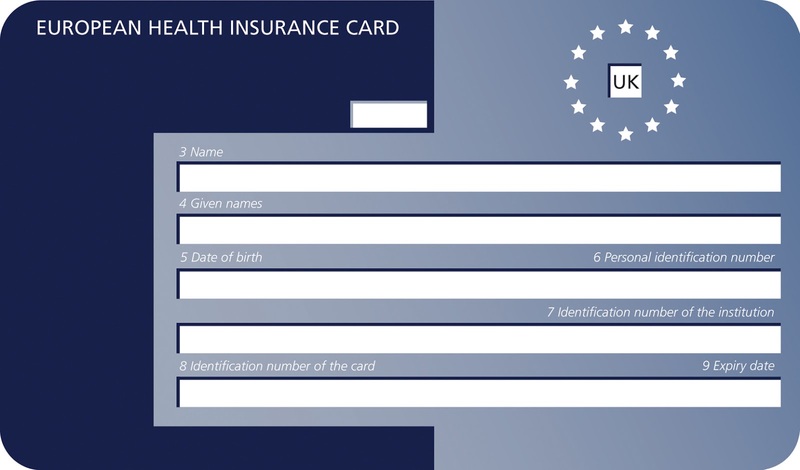 See here for more information on how to get your IDP. Just remember that the vast majority of companies cover a higher rental value for minors of a certain age, or they may pose other obstacles, so it is important to take this into account in case you want to rent a car and have the charter just before time or have an age to infer from the rental company's request. Of course, it is always very good for a visitor to learn some words from the local language, which, in the case of Icelandic, we promise not to be easy (see here this funny video). 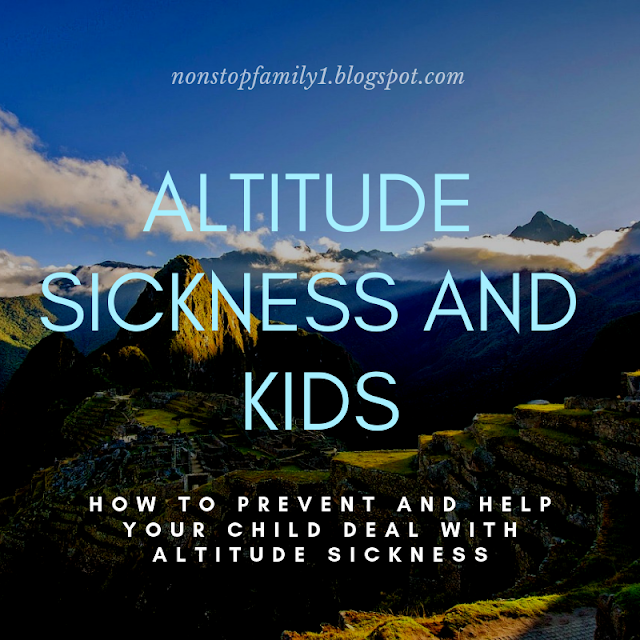 However, while you may find that your effort is well received, you will need to effectively communicate with the locals and in that case, English will be your greatest help. We did not find any place where we could not be understood using English. Something important to take into account is the telephone number to use in case of emergency, which is 112 and, do not worry, you will not have to know how to speak Icelandic to be attended because there is a possibility to speak in English. However, in addition to the phone number, what we did and, we advise, is that you download the 112 App Iceland app, available for IOS and Android, which gives you two wonderful options. The first of these is that in case of emergency you can use the app and it will be sent to your location, which will facilitate relief in any emergencies. The other possibility that this app has is that you can go checking in where you are, in case of emergency, be able to locate the places where you have been. The application only stores its last 5 locations and, if need be, which we hope will never occur, it is always easier to be located. 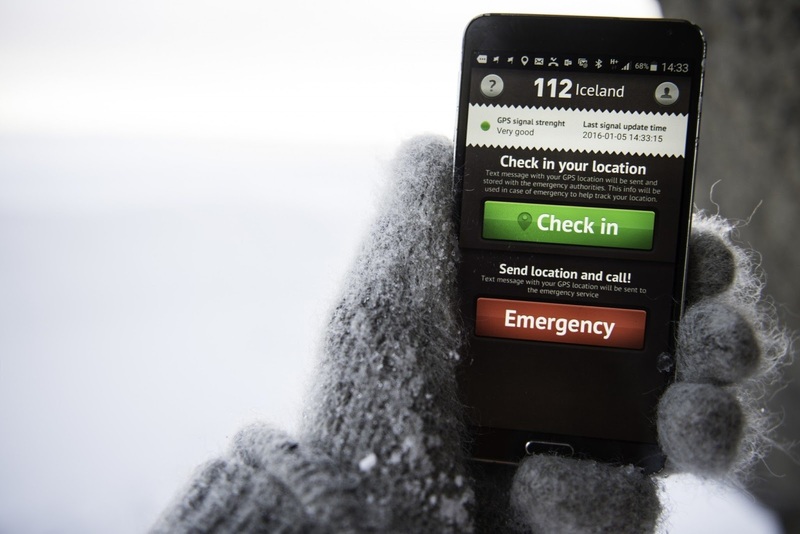 You can find out more information through its official website by clicking here https://safetravel.is/112-iceland-app. This last advice follows on from what we have been talking about throughout our article. We can assure you that your trip to Iceland will be wonderful, you will love it. Making the Ring Road, in good weather, is something very safe but, nevertheless, it always requires care, attention, respect for nature and its conditions, respect for safety rules and also for your body, do not forget to rest , stop at the proper places to pause your body. We advise you to plan your route a lot (see our itinerary here, it can be a great help, and feel free to ask any questions you consider pertinent, we would love to be able to help), and do not forget to take some time off every day because , there are always imponderables that we do not count and, you will find, you will want to stop and get to see beauties that were not in your initial plan, so plan ahead. Always respect nature, because if there is a place where nature reigns, it is in Iceland (see here some safety advice for those who make their trip to Iceland, especially fort hose who travel with children, as was our case). It is a wonderful destination but, behind it I also have several dangers. The weather can change drastically in a few minutes, there are immense waterfalls, glaciers, beaches that may seem safe but you can be hit by gigantic waves without any foreseeing, cliffs apparently safe but in danger of falling, so always respect the places marked for pedestrians and, do not venture too close to the sea. Besides, plan a lot, get organized and, have a lot of fun, it will be the adventure of your life, we can guarantee. Don't forget to leave your comment, opinion, new ideas and, if you like our article, share it with your friends. 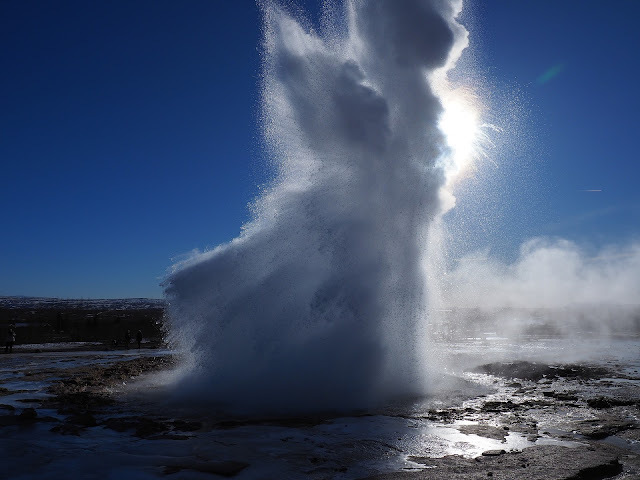 Check here for our 8 days itinerary for a family trip in Iceland. Good and safe trips.